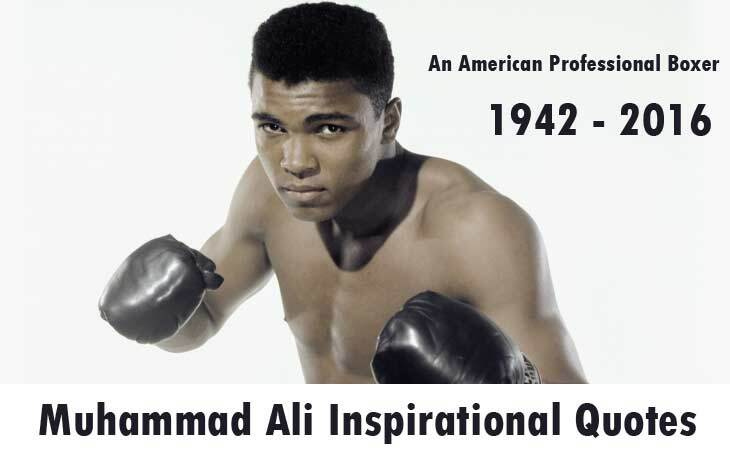 Muhammad Ali Inspirational Quotes which Make our Life to Right Path: The World Famous Boxing legend Muhammad Ali dies at his age 74. He was suffered from the disease of Parkinson, and he was also admitted to the nearest hospital earlier this week. He died on this Friday (June 3, 2016) at a Phoenix-area hospital. His quotes will inspire the next generation too. He shared lots of experienced things via his quotes. He inspired millions of hearts by his lovable and most useful quotes. Scroll down and read his Most inspired quotes on bellow of this picture.